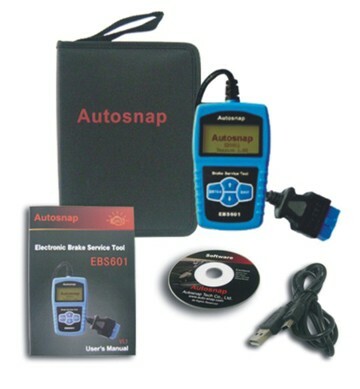 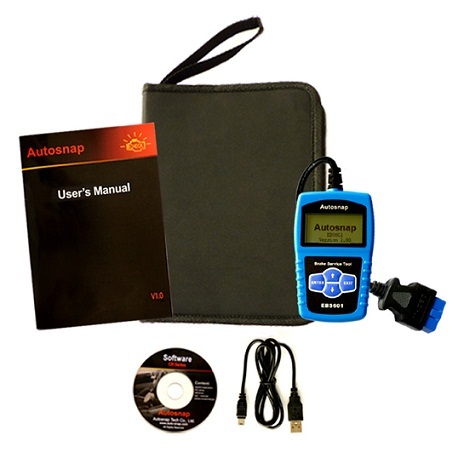 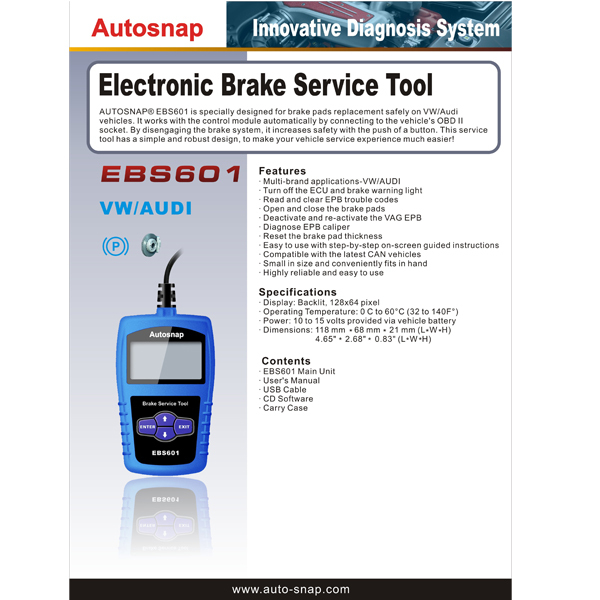 AUTOSNAP® EBS601 is specially designed for brake pads replacement safely on VW/Audi vehicles. It works with the control module automatically by connecting to the vehicle's OBD II socket. 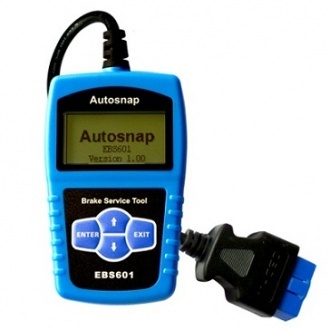 By disengaging the brake system, it increases safety with the push of a button. 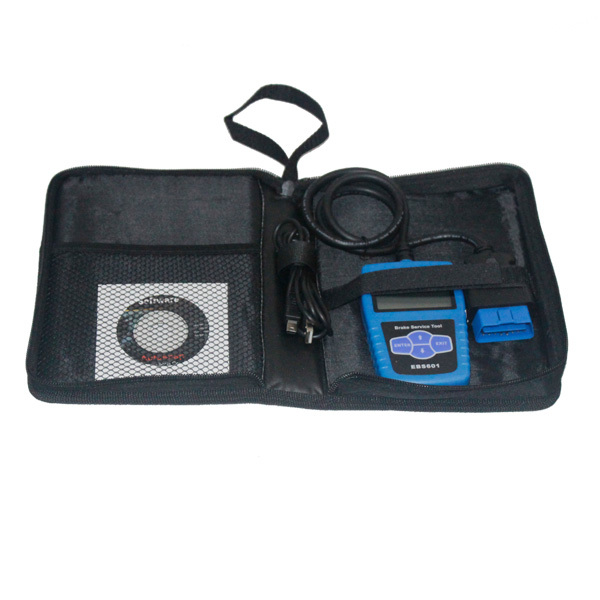 This service tool is with simple and robust design, to make your vehicle service experience much easier!